Fall is an especially wonderful time to visit Yellowstone Country. The vibrant colors, crisp autumn air and sparse crowds make it perfect for a leisurely vacation. 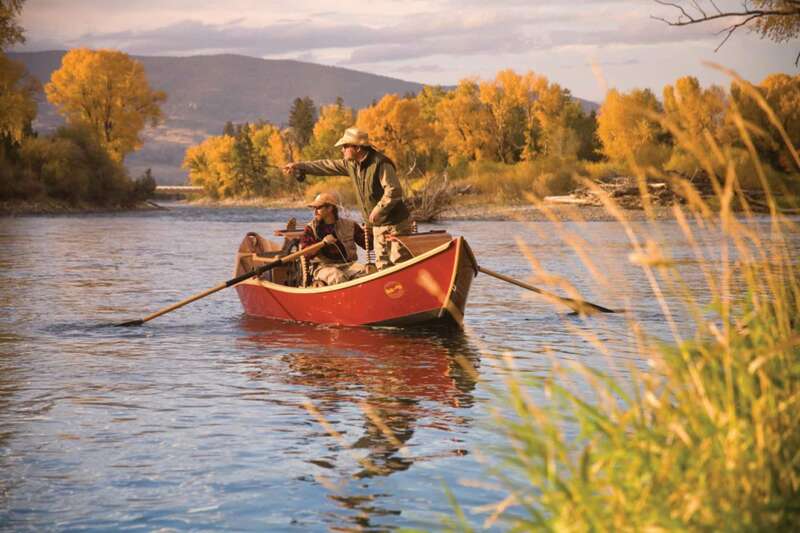 Below are a few of our favorite fall pastimes; we encourage you to relax, take in a deep breath of our fresh mountain air and enjoy Montana’s Yellowstone Country. 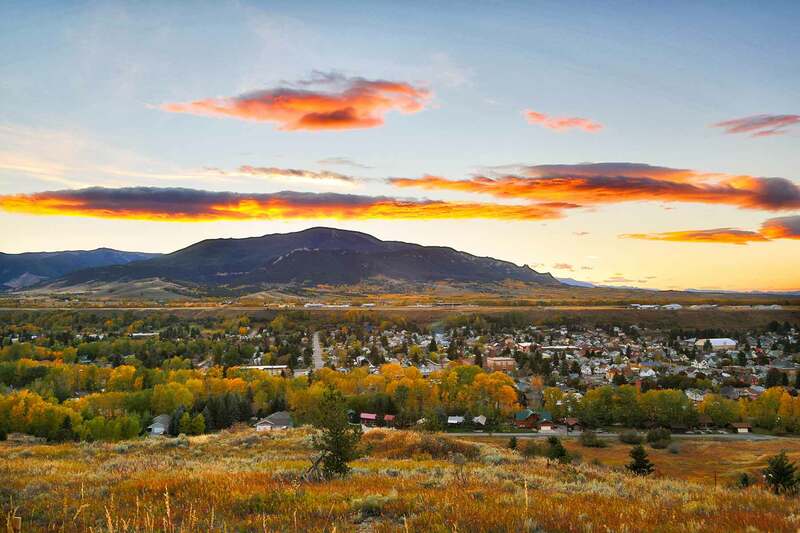 The drive from Livingston to Gardiner, Montana is gorgeous year-round, but fall is extra special. 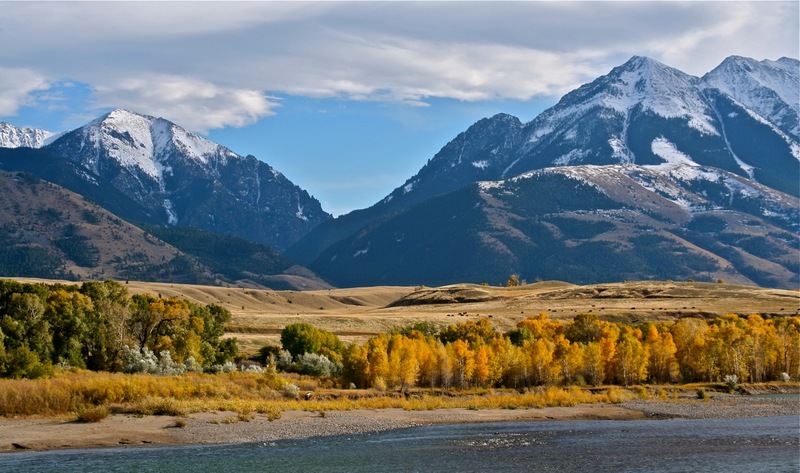 The cottonwoods along the Yellowstone River turn a magnificent yellow, accentuated by the forest-covered mountains and snowcapped peaks. The drive is about an hour each way, but we suggest making a day of it. Livingston is known for its concentration of local artists and writers, and downtown galleries are a testament to their quality of work. If you make Livingston your home base, consider staying at the Murray Hotel—one of the late Anthony Bourdain’s favorites. As you drive south, veer off to Highway 540; you’ll wind your way through beautiful grasslands against a stunning mountain backdrop. When it comes to wildlife watching, witnessing the elk rut is often understated. This mating ritual, characterized by the unique elk bugle, is something to see. Bull elk will oftentimes battle over a herd of cow elk. Mammoth Hot Springs and the Lamar Valley are both great spots to find these majestic mammals. As the weather cools and summer visitation slows, fall fishing can be downright spectacular. Brown trout become active and start to spawn. When the temps drop below 50 degrees, the fish stay active throughout the day. Lake fishing picks up again, and spring creeks, generally tucked into beautiful mountain landscapes, make for a quiet excursion. Try Hebgen Lake, the Gallatin River or the area around East Rosebud Lake near Red Lodge. It’s no secret that fall is a favorite of photographers, as the colors in Yellowstone Country do not disappoint. The golden cottonwoods and aspens set against lush, green forestland really make for a dramatic pop of color. Wildlife are active in the park this time of year, and weather patterns can make for some impressive skies. Hyalite Canyon, outside of Bozeman, should definitely be on your list of places to capture, as well as the trails around Big Sky. 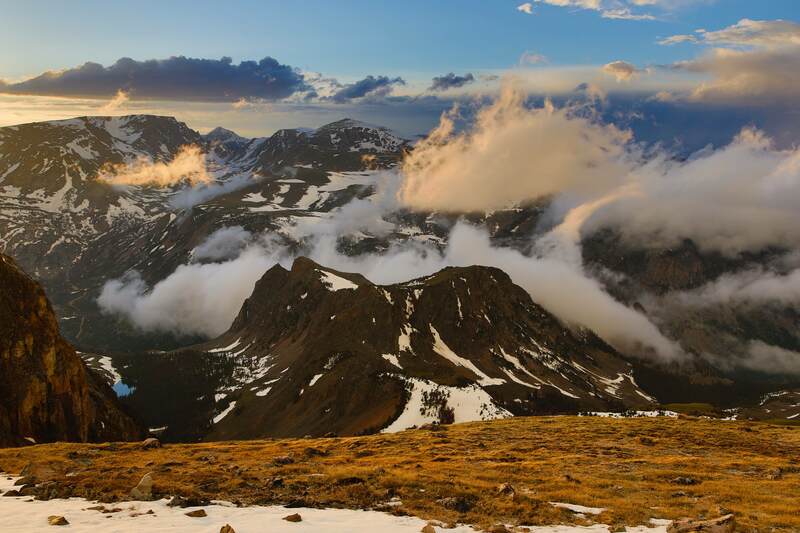 If you haven’t squeezed in a big hike yet, this is your last chance before the snow flies! The peaks in Yellowstone Country are numerous and offer stunning 360-degree views. You can find hikes lasting anywhere from a few hours to full-day excursions. Watch for mountain goats! These friendly animals generally aren’t afraid of people, so you might get an up close and personal look, although it’s always wise to respect their space. Be prepared; weather can change quickly, so pack plenty of layers, food and water. Centered around the largest-known golden eagle migration in the United States, this free family event is not to be missed. Since 1991, the raptor migration count has taken place at Bridger Bowl ski area in the Custer Gallatin National Forest. This year’s event takes place October 5 – 8 with events around Bozeman, culminating at Bridger Bowl with live raptor viewing, educational talks, plus fun and entertaining activities for the kiddos! For more fall adventure ideas, go to visityellowstonecountry.com.